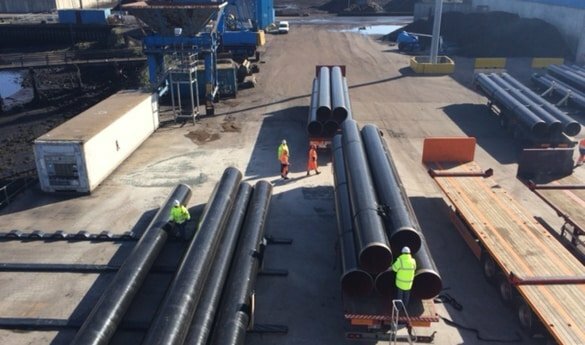 Looking for an Pipe Rehabilitation Service? Are you experiencing problems with your sewer line in Santa Clarita? If so, keep on reading. There are many ways to repair a sewer line. 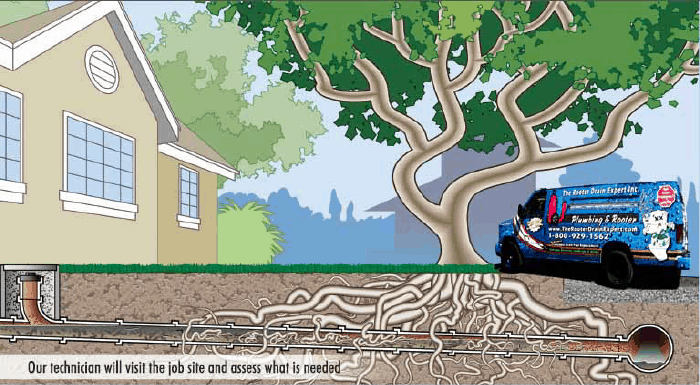 Rooter Drain Expert in Santa Clarita CA offers different options for no excavation trenchless pipe rehabilitation. Our technician will diagnose and determine if Pipe Rehabilitation (Liner) is the best solution. Generally when it comes to roots lining is one of the options, another one might be our Trench-less pipe bursting replacement technology. Once the old line has been cleaned, the liner is installed. We wait for the liner to cure, and your sewer line is ready to be used once again. Also make sure to check out or video! The gallery below has more pictures, these picture gallery will help you better understand the process, it is important for us to educate our clients so they know %100 what is being done in their property. Our Liner technology is approved by the State Of California. How does trench-less sewer repair work? Clogged drains are a common problem in the modern-day household. There are many drains in our home such as kitchen sinks, shower drains, laundry drains, bathroom sink drains and the main sewer line. A sanitary sewer is an underground carriage system which is specifically designed for transporting sewage from houses and commercial buildings through pipes. The drainage is usually carried to treatment facilities via pipes. The main sewer line is the line from where the sewage of any sinks, showers, toilets, tub, toilets, and any other drain is carried to the city main sewer. At times, we must deal with sewage repair work since it gets clogged. When the main sewer line is clogged, none of the other drains work in the house. Hence, repairing it becomes a priority. Let us first analyze why sewage lines or sinks get clogged. The common reasons for blockage of sewer lines include the old aging pipes, broken, cracked or damaged sewers. Though there are various methods to repair damaged or broken sewer pipes – prevention is of primary importance as “Prevention is better than cure”. This can be done with the help of a camera inspection that shows any breaks or major root causes inside sewer lines. But, there are days when one comes across situations where they need to repair the main sewer line. This might sound complex but there are many methods to do so. Common methods for repairing sewer lines include traditional excavation of the sewer line repair or trench-less repair methods. In traditional sewer repair or replacement methods a backhoe is often used for digging up the old sewer line. This is very messy and can destroy landscape, driveways, and other infrastructure. However, the trench-less repair method is better suited to the modern-day standards and needs. Trench-less repair only require small access holes where the damaged pipe starts and ends. A new pipe is pulled through the existing pipe. This method breaks the old pipe into pieces and lays down the new pipe at the same time. Trench-less repairs do not cause as much damage to yards and driveways as compared to traditional repair methods. With trench-less technology, sewer repair has become less messy as compared to traditional methods used for sewer repair. With trench-less technology, there is no longer the need of digging trenches along the length of pipes for repairing or replacing it. The repair or replacement is dealt by making use of existing openings in the sewers. Such technologies are now adopted by service providers that offer drain cleaning, drain repair, and replacing of old sewer pipes. Santa Clarita Plumbers is one of the finest service providers in this field. In case you ever need to replace or repair a sewer line, don’t panic! Santa Clarita Plumbers are the best plumbing service providers. They are one of the best and most experienced names in the business! Always feel free to contact Santa Clarita Plumbers by visiting https://www.santaclaritaplumbers.com/ and they will be right there acting like a helping hand to you! Need More Information? Call Us NOW!